Tokyo-based stock brokerage company Crowd Securities Japan held a press briefing yesterday to announce that it will launch the country’s first investment crowdfunding platform in August. The service is called Crowd Bank. The company’s president Kaz Ohmae, explained a little about the upcoming service. People in Japan keep more than 839 trillion yen ($8.39 trillion) in their savings, more than any other country in the world. 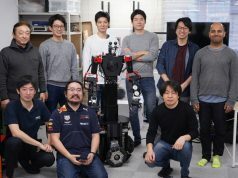 However, as little as 8.2 billion yen ($82 million) has been transacted in the Japanese crowdfunding market, less than 5% of the US [transaction volume]. 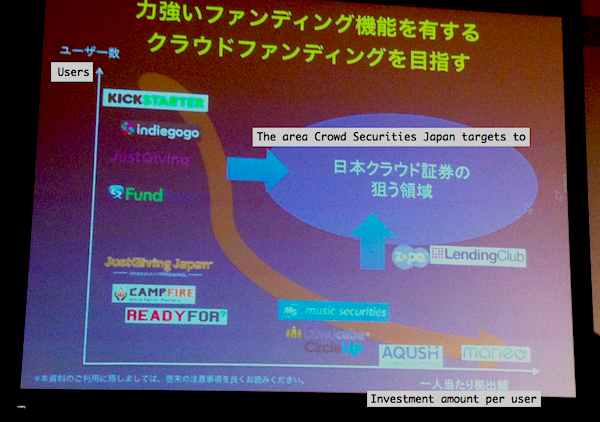 So Japan has great potential for growth in the crowdfunding market. We plan to launch the country’s first investment crowdfunding platform and help SMEs raise funds easier with this service. According to Ohmae, crowdfunding services are categorized into five types corresponding to what you can get in return for investments: donations, rewards, loans, funds, and equity. Regarding the first two, these are relatively easy to launch since no license is required. But for the latter three types of crowdfunding services, operators are requested to get licenses from the Japanese monetary authority. 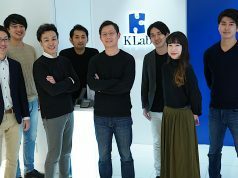 Taking full advantage of its status as a stock brokerage company, they plan to launch a loan crowdfunding service in August and an equity service next year. 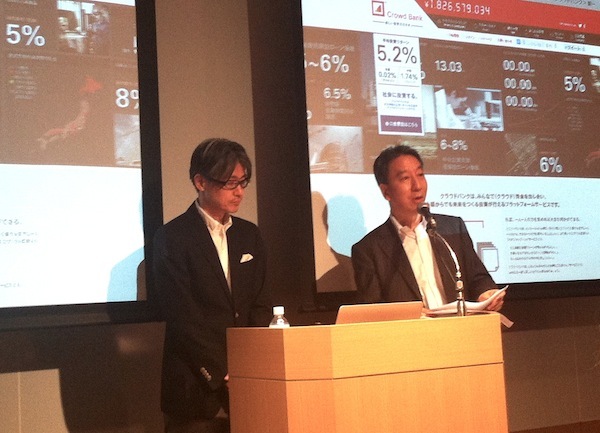 They aim to transact 10 billion yen ($100 million) among 10,000 customers using the platform by March of 2015. 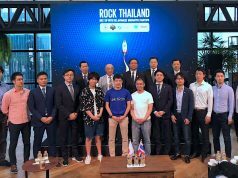 The company was previously known as D-brain Securities, focused on dealing with unlisted stocks on Japanese stock exchanges (the Green Sheet Market). They have previously served more than 9,000 clients and managed underwriting for 140 companies. 16 companies of those have exited to an IPO or M&A, and to date the company has provided capital worth 10.7 billion yen ($107 million) to Japanese SMEs from the market. Prior to joining this company, president Ohmae worked at E-Trade Japan, and was involved in an launching Exchange Corporation, the startup behind Japan’s leading social lending service Aqush. The video below shows Ohmae giving a brief demo of how the new platform will work.